Everything you need to know about the Iowa State Cyclones as they head into the Sweet 16. The Case For: While three Big 12 teams were shocked in the first round of the NCAA tournament, Iowa State quietly and impressively moved on to the Sweet 16 with easy wins over Iona and Little Rock. The Cyclones received a small break by getting the Trojans instead of fifth-seeded Purdue, but Steve Prohm’s team kept the pace high in both games and won by double digits in each. 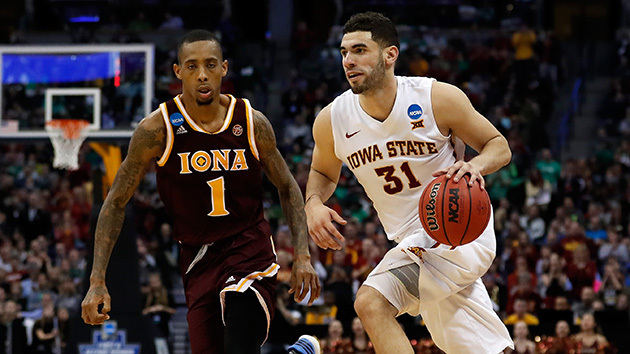 Niang, the Cyclones’ star, combined for 56 points on the weekend, and the Cyclones as a team hit 21 combined three-pointers in those two games. With little depth and a breakneck pace, Iowa State needs to shoot the ball effectively to keep winning. Its 53.0% mark from the floor and 48.0% total from three-point range will keep them in contention against any team, especially if they keep opponents hovering around 30% shooting from the perimeter. If the pace stays up and the perimeter defense holds, Iowa State could take out top-seeded Virginia in the Sweet 16. The Case Against: Iowa State’s specialty is scoring in bunches, and it faces one of the nation’s stingiest defenses in Virginia. The Cavaliers enter Friday night’s matchup with the fourth-ranked adjusted defense in the nation and have held opponents to 29.4% from beyond the arc in the tournament. The Cavaliers did endure some defensive struggles against Butler, but coach Tony Bennett remains arguably the most respected defensive mind in the nation. Despite its impressive showings in the opening two games, the Cyclones continue to teeter with questionable depth. Seven players have played double-digit minutes in each game, and Niang and junior point guard Monte Morris played 36 in the first two wins. If an injury doesn’t reduce the Cyclones to running six, then exhaustion may eventually cost them. Against a smothering Virginia unit, both the Cyclones’ stamina and ability to keep their desired pace high will be tested.